Coachella may be streaming both of its weekends this year online, preventing you from having to physically go to California and spend a week or so with other like-minded people willing to blow a bunch of money on a festival owned by a real jerk, but even partying at home this year is looking slightly less appealing. 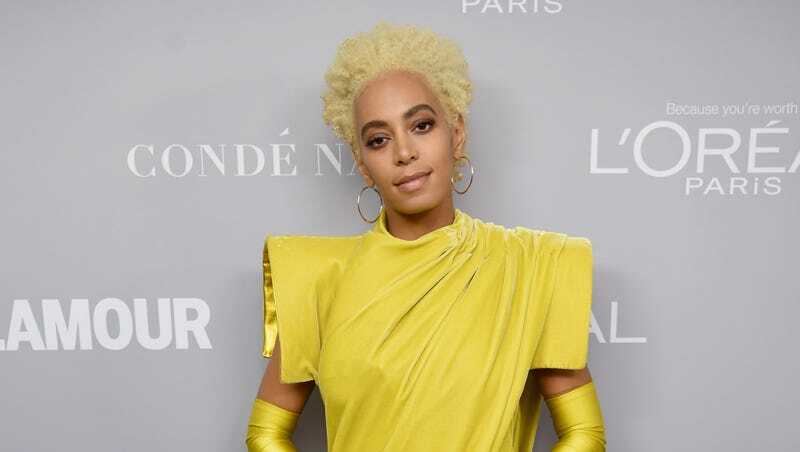 That’s because Solange has been forced to suddenly drop out of this year’s Coachella just days before it’s set to begin, with the festival’s Twitter account explaining that she had to cancel over “major production delays.” It also says that she “sends her sincerest apologies” and “looks forward to performing at Coachella in the future,” but as noted by Okay Player, Solange has not released a statement of her own. That means we’ll just have to take Coachella’s word that she looks forward to returning someday. In other Coachella news, Kanye West dropped out of this year’s festival because the organizers wouldn’t build a giant dome for him. Also, Solange’s famous sister is putting out a Netflix documentary about her own Coachella set from last year.